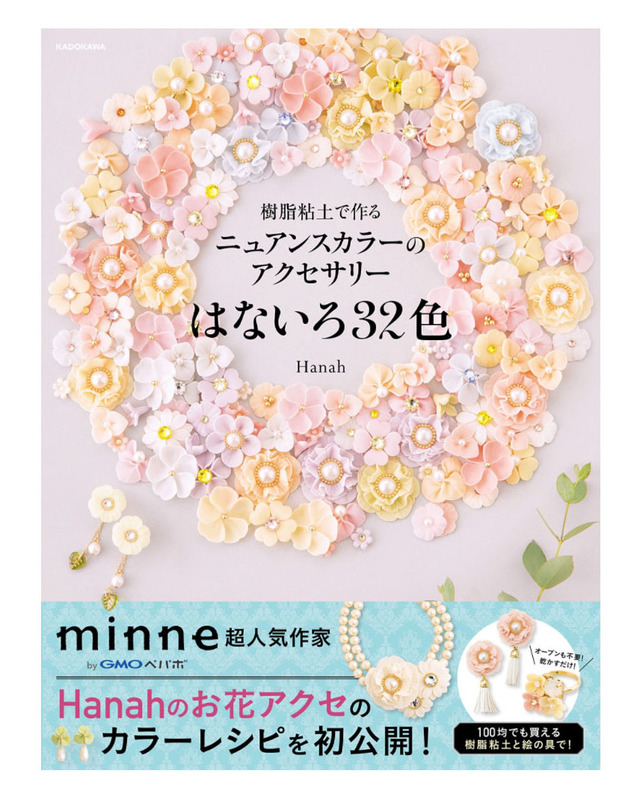 This is a beautiful craft book featuring miniature clay flowers using resin clay. One of the highlights of this book is learning how to mix colors into clay to achieve soft, pastel feminine looking colors. There is a segment that shows you the exact steps to make about 32 different pastel colors. 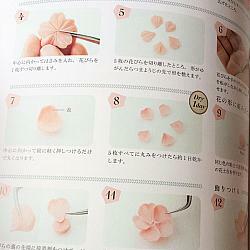 Step by step illustration is also provided for sculpting different petal types. 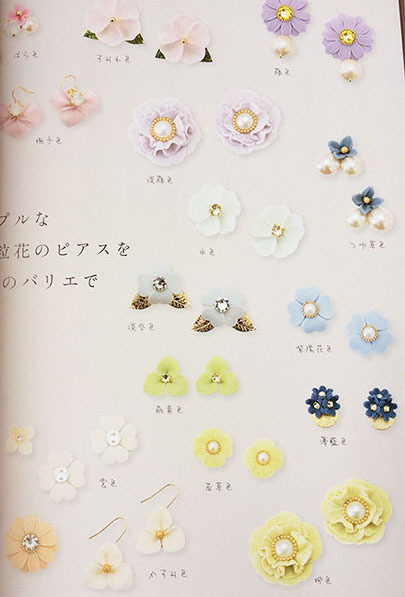 Transform these flower accessories such as earrings, necklaces, bracelets, hair clips and more. 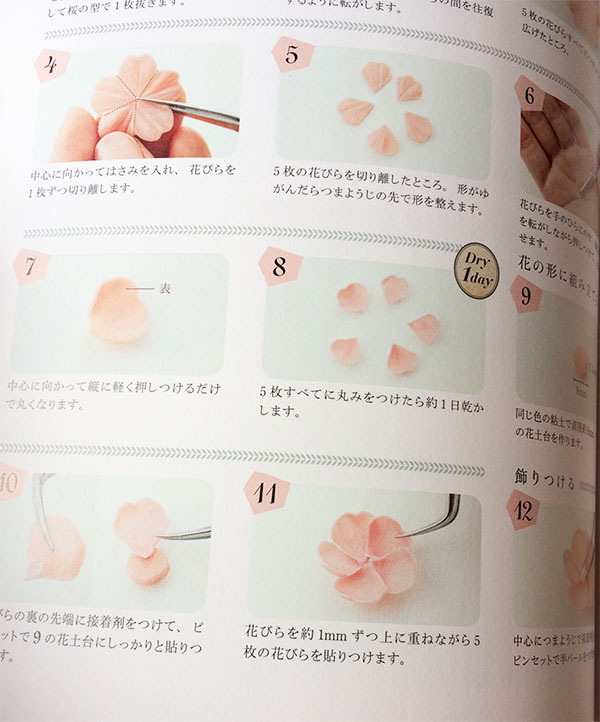 The techniques taught can also be applied and used in miniature flower making. 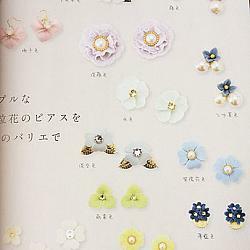 Suitable for beginners, intermediate crafters and anyone who is fascinated with creating your own miniature flower accessories. Items that you create can be made into jewelry items such as necklace, brooch, earrings. This book is written in Japanese. A total of 79 pages.